Politics • Donald Trump Jr. met with a Russian lawyer, hoping to help his father's presidential campaign. 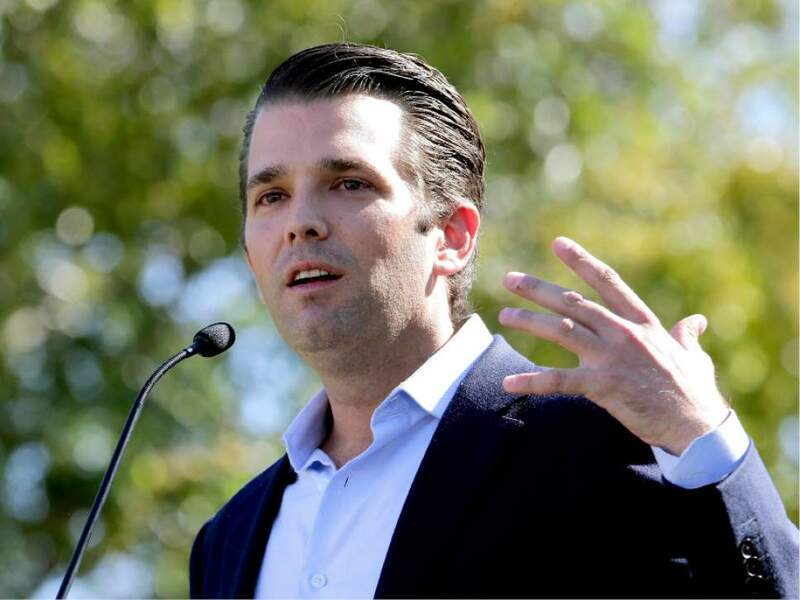 Donald Trump Jr., the president&apos;s son, said in a statement Sunday that a Russian lawyer with whom he met in June 2016 claimed she could provide him potentially damaging information about his father&apos;s Democratic opponent, Hillary Clinton. He said he had agreed to the meeting because he was offered information that would be helpful to his father&apos;s campaign. At the meeting, which also included Trump&apos;s son-in-law Jared Kushner and Trump&apos;s then-campaign chairman Paul Manafort, the Russian lawyer opened by saying she knew about Russians funding the Democratic National Committee and Clinton, the statement said. Donald Trump Jr. said her statements were "vague, ambiguous and made no sense" and that she then changed the subject to discuss a prohibition that the Russian government placed on the adoption of Russian children as retaliation for sanctions imposed by Congress in 2012. Donald Trump Jr. said his father "knew nothing of the meeting or these events" and there was no further contact with the woman after the 20- to 30-minute session in June 2016. 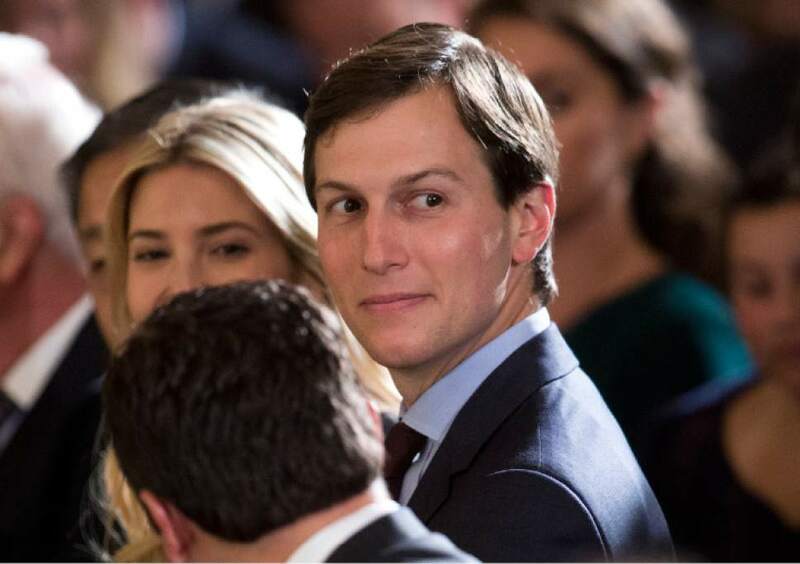 The president&apos;s son did not disclose the discussion when the meeting was first made public by the New York Times on Saturday and did so only on Sunday as the Times prepared to report that he had been offered information on Clinton at the session. The meeting seems likely to become a focus of investigations into whether the Trump campaign coordinated and encouraged Russian efforts to intervene in the election to hurt Clinton and elect Trump. Hackers began leaking emails stolen from the Democratic Party in July 2016, and U.S. intelligence agencies have said the effort was orchestrated by Russia to help elect Trump. In his statement, Donald Trump Jr. said he did not know the lawyer&apos;s name, Natalia Veselnitskaya, before attending the meeting at the request of an acquaintance. He said that after pleasantries were exchanged, the woman told him that "she had information that individuals connected to Russia were funding the Democratic National Committee and supporting Ms. Clinton." "No details or supporting information was provided or even offered. It quickly became clear that she had no meaningful information," he said, asserting that he concluded that claims of helpful information for the campaign had been a "pretext" for setting up the meeting. Mark Corallo, a spokesman for Trump&apos;s lawyer, said Trump was unaware of the meeting and did not attend it. Neither Manafort or his spokesman responded to request for comment Sunday evening. Kushner&apos;s representatives did not respond to requests for comment. Veselnitskaya&apos;s client roll includes individuals and companies close to the Kremlin. She has for the past several years been a leading advocate around the world to fight Magnitsky Acts, sanctions intended to rebuke Russia for human rights abuses and named for a Russian lawyer who died under mysterious circumstances in a Moscow prison. She did not respond to requests for comment from The Washington Post but told the Times in a statement that she had never acted on behalf of the Russian government and that the meeting included no discussion of the presidential campaign. In an interview Sunday, Rob Goldstone, a music publicist who is friendly with Donald Trump Jr., told The Washington Post that he had arranged the meeting at request of a Russian client and attended with Veselnitskaya. Goldstone would not name the client. Instead, he said that Veselnitskaya wanted to discuss ways that Trump could be helpful on the Magnitsky Act issue should he be elected president. "Once she presented what she had to say, it was like, &apos;Can you keep an eye on it? Should Trump be in power, maybe that&apos;s conversation that he may have in the future?&apos; " Goldstone said.